A PAR or Parabolic Aluminized Reflector Lamp is a type of lighting fixture used in residential, transportation and commercial illumination. Among the different applications of this lighting option include aircraft landing lights, recessed or commercial indoor lights, and locomotive headlamps. In principle, they are quite similar to automobile headlights or sealed beam. PAR30 LED bulbs are intended to replace the older incandescent or fluorescent bulbs that have been used for a number of years. These newer versions offer you the same amount of light, but use a lot less electricity resulting in them being far more efficient and kinder to the environment. These particular LED bulbs do come with a range of watts and this does mean that they are ideal for a number of situations and can be used to light varying sizes of rooms or areas without any problem. 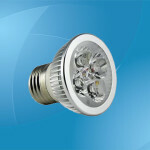 The most common types that you will find range from 7W, to 8W, 10W, and finally 11W and the lumens numbers associated with these bulbs also show you that they do give out the same amount of light as before as the 7W versions can give as much as 580 lumens with this easily able to offer you a substantial amount of light. 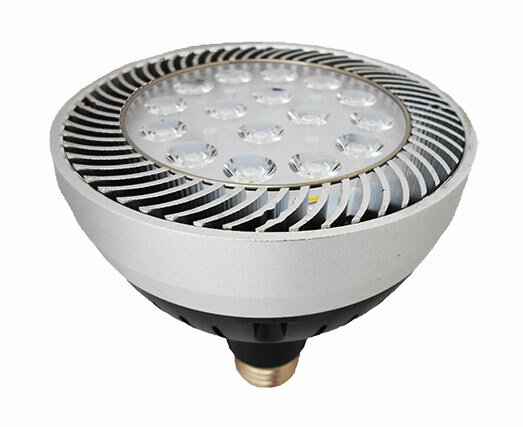 PAR30 LED lamps are highly efficient because they use only about 16.3 wattage of energy. This feature significantly reduces your carbon footprint and maintains a high quality of light. Basically, the light bulb comes with a standard medium base, and this makes it a suitable lighting option for museums, hotels, retail shops, architectural items, and residences. 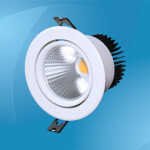 Moreover, the LED bulbs are manufactured in compliance with the RoHS standards for greater security. These lamps are also mercury-free, unlike any compact fluorescent bulbs. This type of lamp can reduce your energy consumption by up to 75 percent, which translates to greater savings on your utility bills. 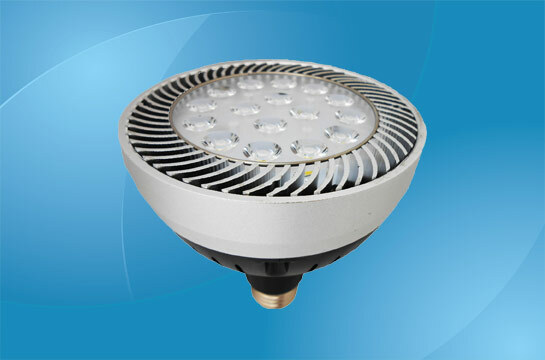 Moreover, the lamp offers constant quality of lamp with instant-on stable and full light output. There is no warm up time and lasts up to 10 times longer than PAR30 halogen lamps. In fact, the lamp can maintain a steady and full light even after 40,000 hours of use. PAR lights may be used in various applications such as in concerts, theatrical shows, hospitality, outdoors and residential lighting. They may generate colors by fitting the lamp with gels or colored sheets. Due to the affordable price of this type of lamp, they are excellent options for color washes in a wide range of colors. Furthermore, PARs may be utilized for special effects lighting and can provide low-budget productions with remarkable effects. PAR30 lamps are great for use as display or accent lighting in areas with an operating temperature that ranges between -40 degrees C and +45 degrees C. They are also great for outdoor applications when used in UL-rated fixtures for protection from harsh weather conditions. However, they are not suitable for use with exit signs or emergency light fixtures. Those figures for the wattage do sound low, but it is important to then compare these figures with the older bulbs in order to see how they do offer the same amount of light whilst using less electricity. In general, the 10W PAR30 LED bulb is the modern day equivalent of the earlier 50W bulb and if you move up to the more specialist versions where you get 35W, then those bulbs are the equivalent of the earlier 150W bulb just they use up to 80% less electricity in the process. This does of course lead to you saving a substantial amount of electricity and due to the fact that these bulbs can offer over 25,000 hours of light, with some being as high as 40,000, then you can see how they do indeed pay for themselves over the duration of their life span. When it comes to the fittings, then they are screw in caps rather than the bayonet versions that you will see with other types of light bulbs. This makes them very easy to attach and they will be securely held in place through the duration of their life span and this does apply even if you have bought the wide beam versions that push the light out over a larger area in order to really light up a dark corner. Due to the nature of these bulbs, they are often used in flood lights, recess light fixtures and finally light fixtures on the ceiling where they are attached to a metal frame that is suspended from the ceiling itself. These lights are generally used indoors and in residential buildings although they may also be used in some office spaces especially those that are small in size. PAR30 LED bulbs offer you thousands of hours of light without using up a lot of electricity making them one of the most efficient bulbs of their kind on the market today. They mainly come in white, although they offer you different shades of white, and even though the number of watts appears to be relatively low they are certainly comparable to higher number of watts as can be found in the bulbs that they have replaced. If you are wanting to lower your bills without it having an impact on the amount of light that you have, then these LED bulbs are certainly the ideal solution for you. 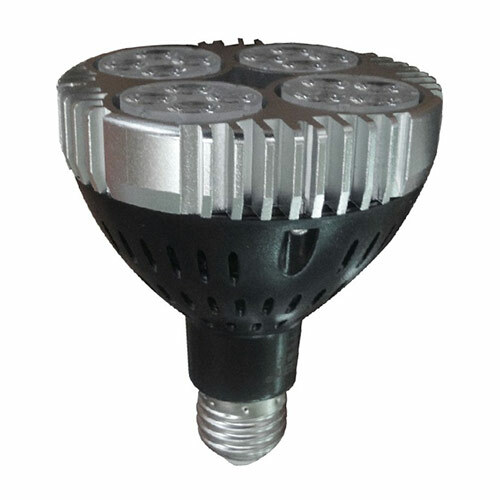 The PAR30 light bulbs are among the finest lighting fixtures because they provide a directed amount of light output and deliver the best beam control. PAR30 lamps are medium-sized bulbs that may be used in outdoor lighting situations. Even when exposed to moisture, the quality of light and durability are not affected, so you no longer need to cover the bulbs with a lighting fixture. This feature makes the lamp quite versatile and handy when used with other fixtures that you prefer. Power: 35W; Input voltage: AC 95-285V; Frequency range: 50Hz-60Hz; Power factor: >0.9; Light source: Osram LED, 16 pcs; Light output (Lumens): 2300-2600lm; CRI (Ra>): 80; Beam angle: 15°/30°/45°/60°; Color temperature: Warm white (2900-3200K), natural white (4000-4500), cold white (6000-6500K); Base: E27; Size: Ф95mm*H118mm; Warranty: 2 years. 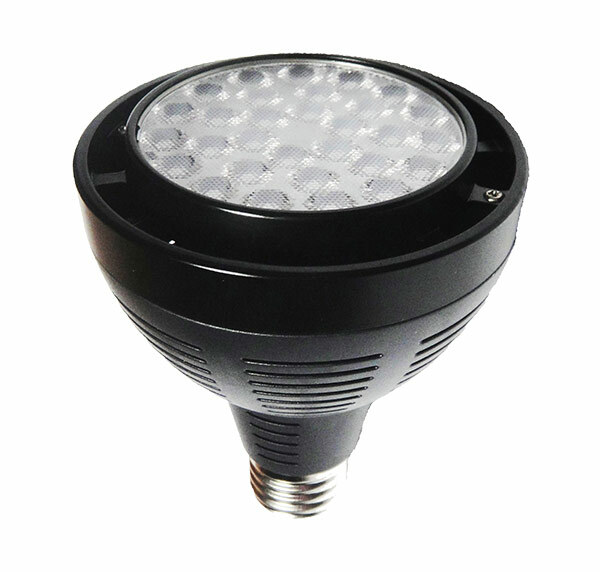 Power: 35W; Input voltage: AC 95-285V; Frequency range: 50Hz-60Hz; Power factor: >0.9; Light source: Osram LED, 30 pcs; Light output (Lumens): 2300-2600lm; CRI (Ra>): 80; Beam angle: 25°/45°/60°; Color temperature: Warm white (2900-3200K), natural white (4000-4500), cold white (6000-6500K); Base: E27/G12; Size: Ф95mm*H120mm; Color: Black or white; Warranty: 2 years. Power: 40W; Input voltage: AC 95-285V; Frequency range: 50Hz-60Hz; Power factor: >0.9; Light source: Osram LED, 18 pcs; Light output (Lumens): 2600-2900lm; CRI (Ra>): 80; Beam angle: 15°/30°/45°/60°; Color temperature: Warm white (2900-3200K), natural white (4000-4500), cold white (6000-6500K); Base: E27; Size: Ф95mm*H118mm; Warranty: 2 years.